A skip and a jump from where we are now, one block West and one/half block South, corner of Stewart Av and 2nd Av, right next to Katzenbarkers Pet Food Store and next to KFC. We are in our present location until Saturday April 27th, then closed Sunday, Monday, and Tuesday, reopening Wednesday May 1st at the new location! Inventory is growing every day!!! Stop in and see what's new, new and used inventory being put out every day, every week! We are a USA and Tribute Series Premier G&L Dealer! 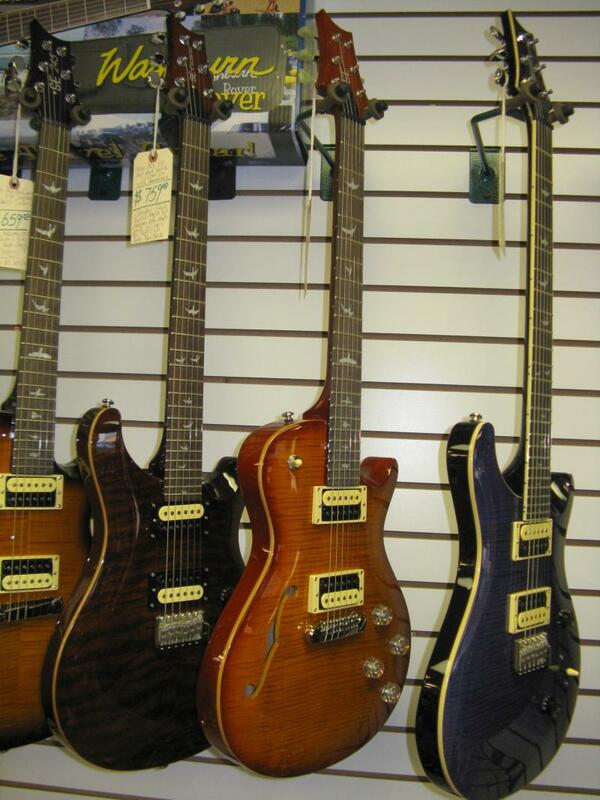 Well stocked with USA made guitars and Tribute series starting at $349!!! Come see the real Leo Fender guitars, G&L. All new colors and models from PRS SE are arriving as well, stop and see the new Fireburst SE Custom 24! We now have a full selection of Breedlove acoustic guitars including USA made. Open Tuesday through Friday 10:30 to 6:00, Saturdays 10:30 to 3:30, closed Sundays and Mondays. We are at or below internet pricing to keep you in budget but buy it locally! And our Free Lifetime Maintenance Agreement will keep you running perfectly at no charge as long as you own your guitar. We are an authorized Boss and Roland Dealer with a full stock of pedals and amps in stock now including the amazing Katana amps and the Blues Cube Hot 30 & more. TRY IT HERE, BUY IT HERE, KEEP US HERE!!! Does your job require the Wausau population for business to keep you employed? Then please shop local as well! We all need to support our local businesses whether it is guitars, dog food, insurance, food, clothes, or anything else! Live in your community, travel to shops, smile, and support local businesses, it keeps your money in the local community. OVER 250 ACOUSTIC & ELECTRIC GUITARS, MANDOLINS, BASSES, RESONATORS, BANJOS, UKULELES, TRAVEL GUITARS, 12 STRINGS, ACOUSTIC BASSES, AND MORE IN STOCK ON DISPLAY RIGHT NOW. Full selection of amplifiers new and used from Vox, Blackstar, PRS, Roland, Boss, Randall,VHT, and others. New pedals from Boss, McCaffrey Audio, MXR, Dunlop, Digitech, Keeley, VHT, and lots of used pedals!!! ALWAYS BUYING YOUR GUITARS, AMPS, PEDALS, AND MORE, CASH PAID! Lines We Carry: Paul Reed Smith, G&L Premier Dealer, Washburn, Alvarez, Seagull, Hagstrom, Sigma, Boss, Roland, Oscar Schmidt, Dean, Luna, G&L Tribute Series, Vox, Blackstar, Breedlove, Randall, MXR, VHT, The Loar, Recording King, Silvertone & Jay Turser. 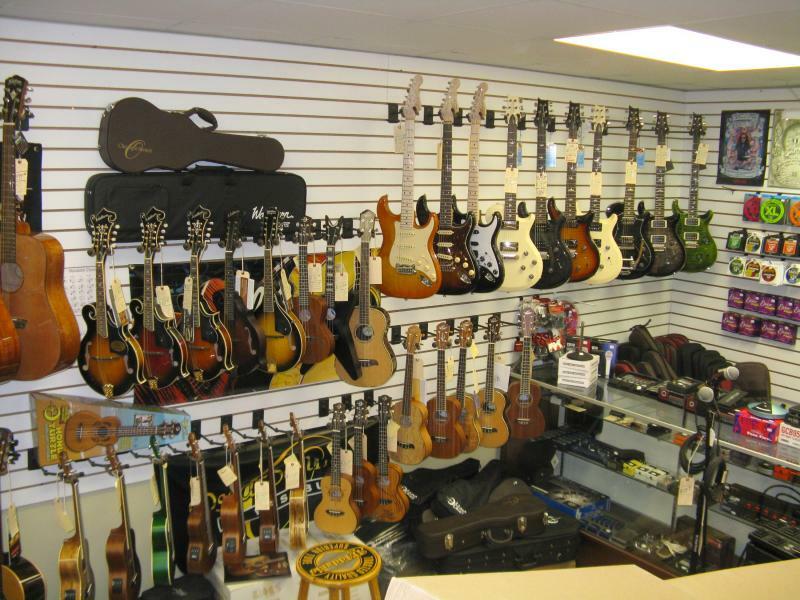 Mandolins, Resonators, Ukeleles, Acoustic Basses, as well as Acoustic and Electric guitars, Bass Guitars, and an always large selection of Acoustic/Electrics. Randall Amplifiers, David Eden Bass Amps. McCaffrey, Digitech, DOD, MXR, Keeley, VHT and an ever changing selection of used guitars, pedals, and more items. 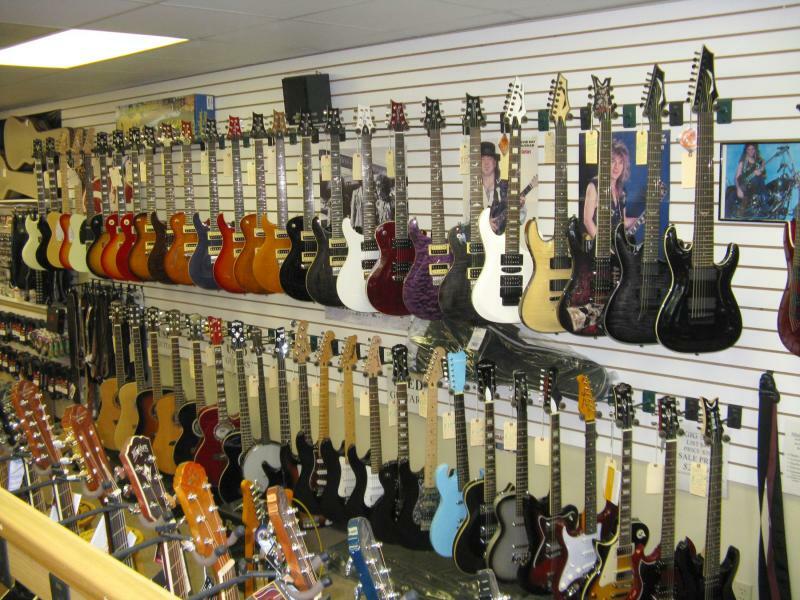 Over 250 stringed instruments in stock and on display now. Acoustic Basses, Electric Basses, 12 Strings, Ukuleles, Mandolins, Banjos, Resonators, Travel Guitars, ALL SOLID WOOD ACOUSTICS, and lots lots more!!! 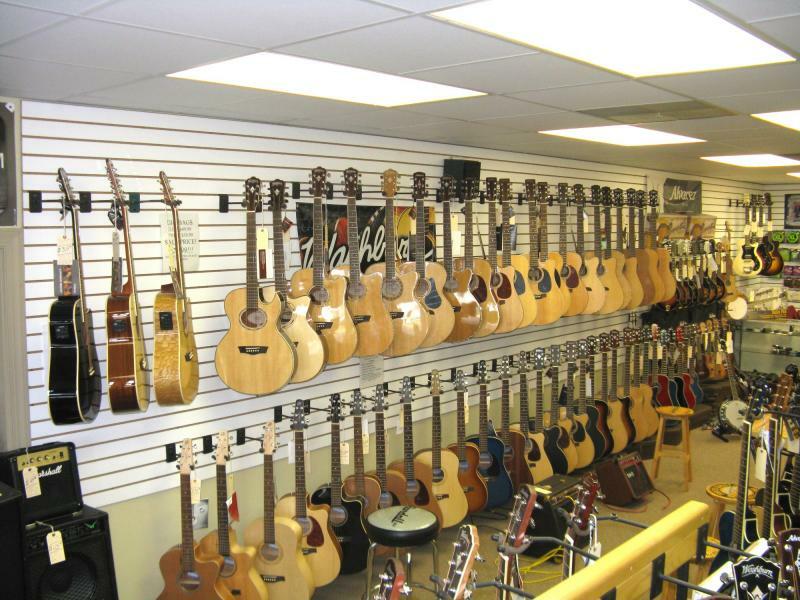 USED electric and acoustic guitars, and lots of reasonably priced acoustic and acoustic electric guitars. New and used Amplifiers from Randall, VHT, Fender, Roland, Line 6, Peavey and more. WE ARE ALWAYS BUYING TRADING AND SELLING!!!!! Copyright 2010 October Guitars Inc.. All rights reserved.